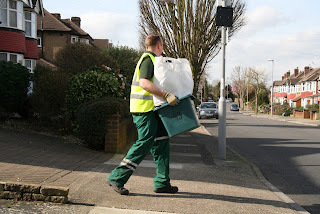 letsrecycle.com 6 August 2015: The recycling, reuse and composting rate in England reached 44.8% in the 12 months to December 2014, with the latest figures showing a slight increase from the 44.2% rate the previous year. According to Defra, which today (August 6) released data for the final quarter in 2014, the increase was driven by a rise in the volume of organic waste recycled, which was up 9.9% compared to the previous 12 months in 2013. However, the latest quarterly local authority collection, treatment and disposal waste data released by Defra today (August 6) shows the recycling rate dropped to...read on.